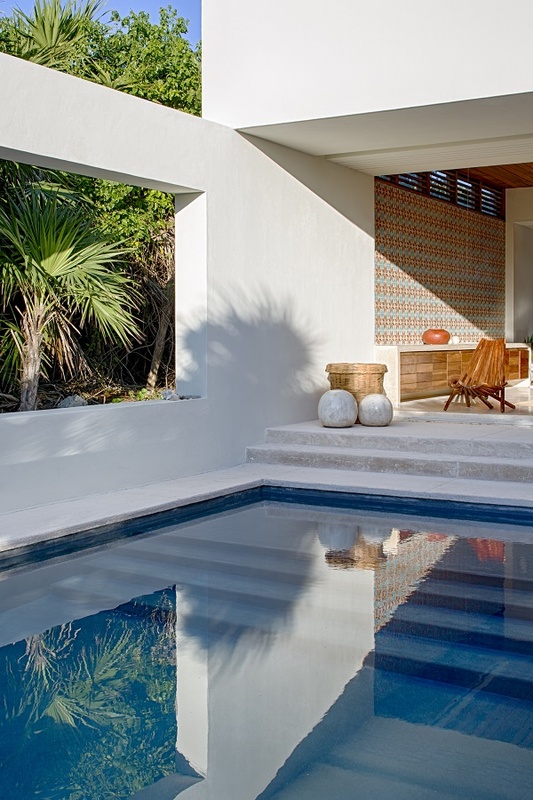 Set in historic Tulum at the edge of a protected bay is Casa Xixim – an ultra-exclusive ecoluxe villa designed by U.S architects Specht Harpman. 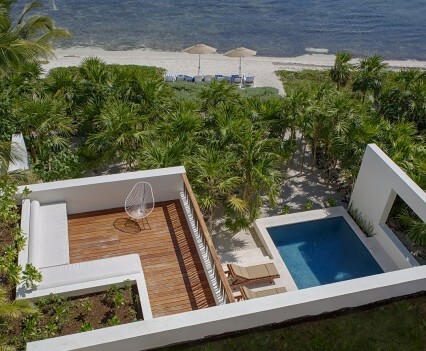 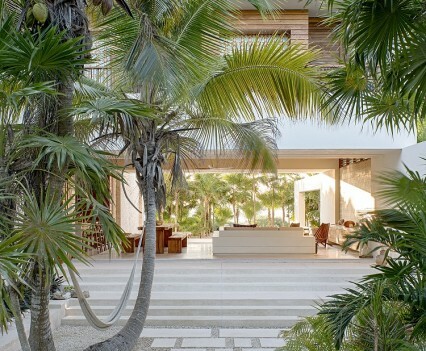 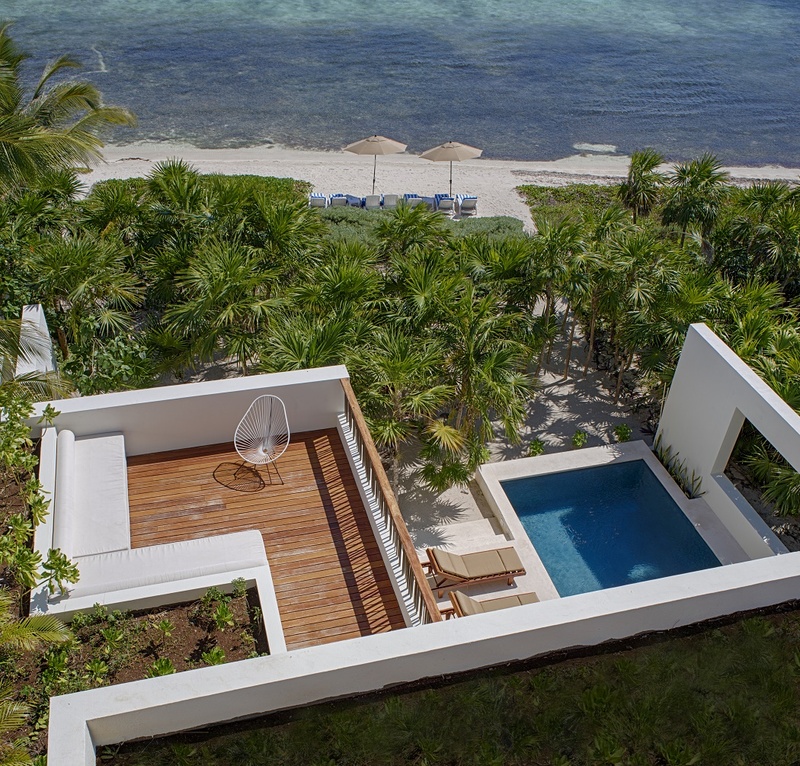 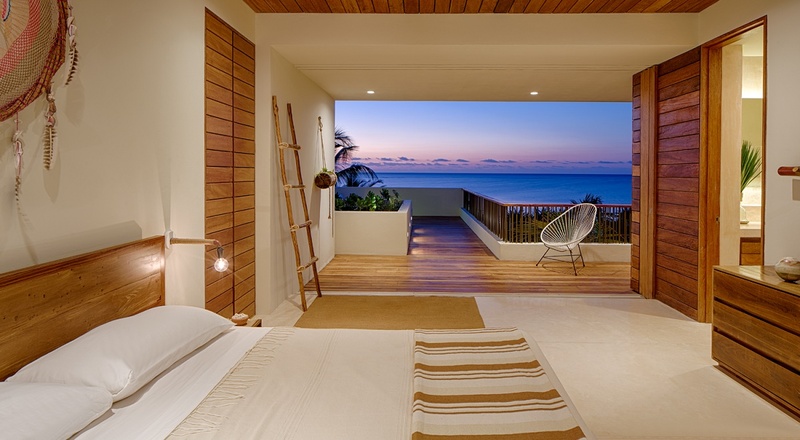 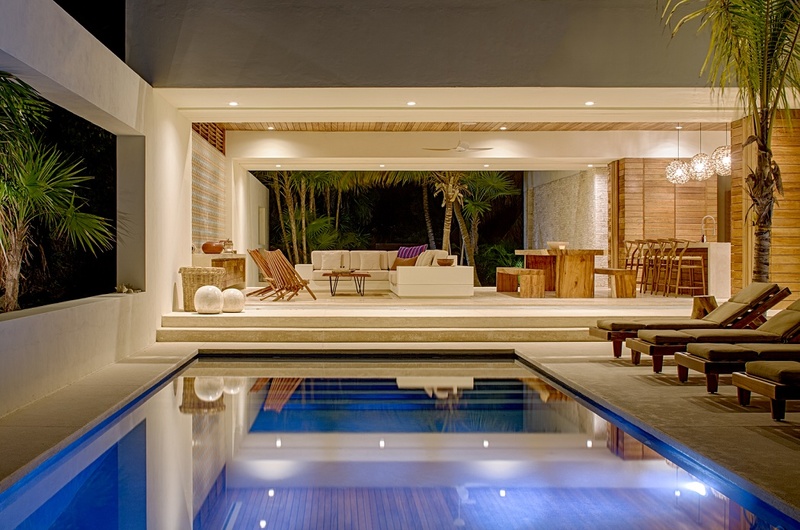 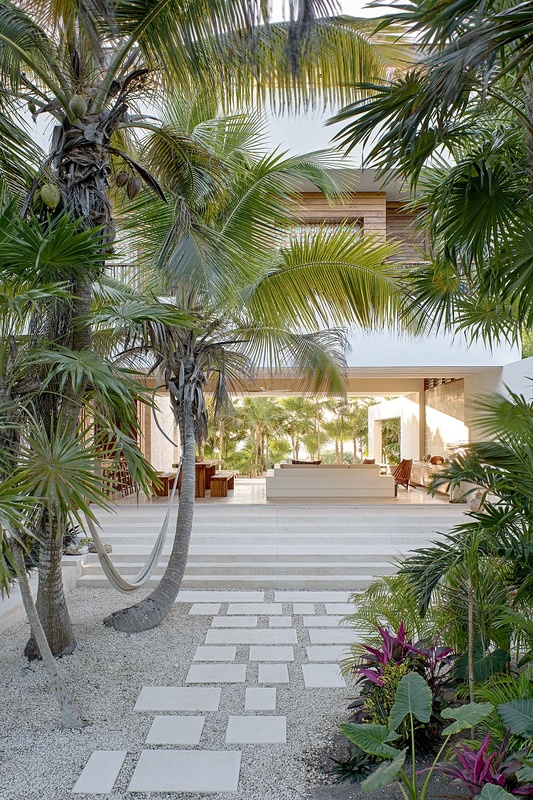 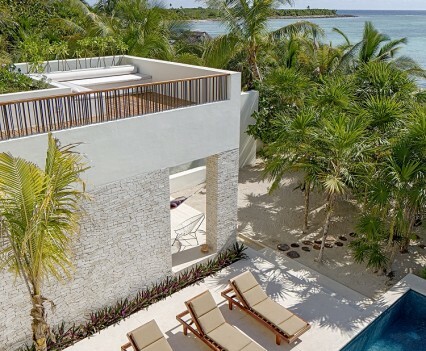 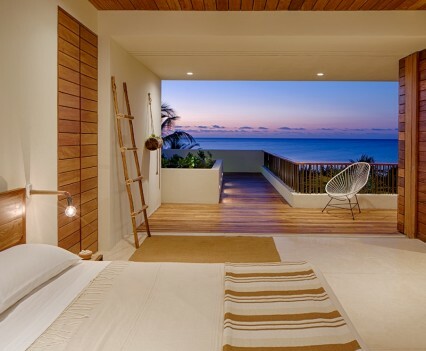 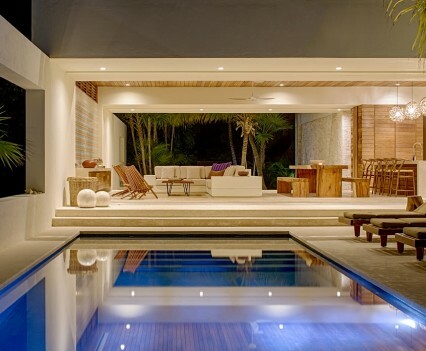 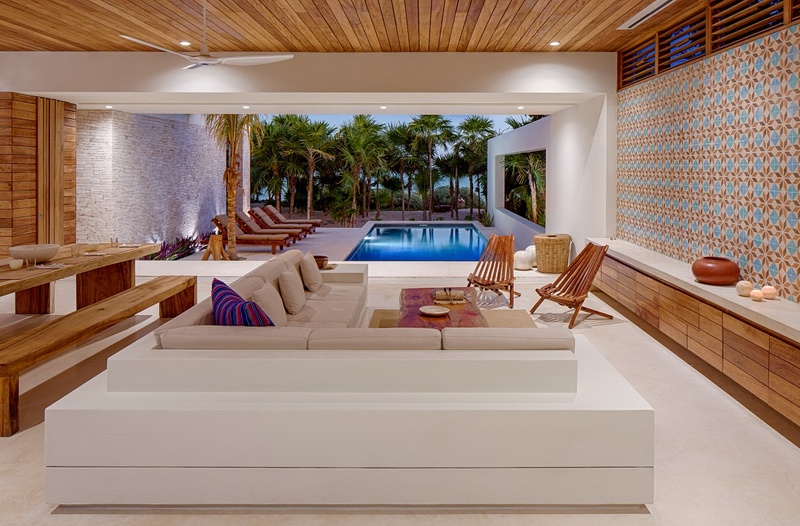 The 445 sqm Caribbean getaway immerses its occupants in the culture of the location with unique architectural design elements and finishes that are distinctly Mexican. 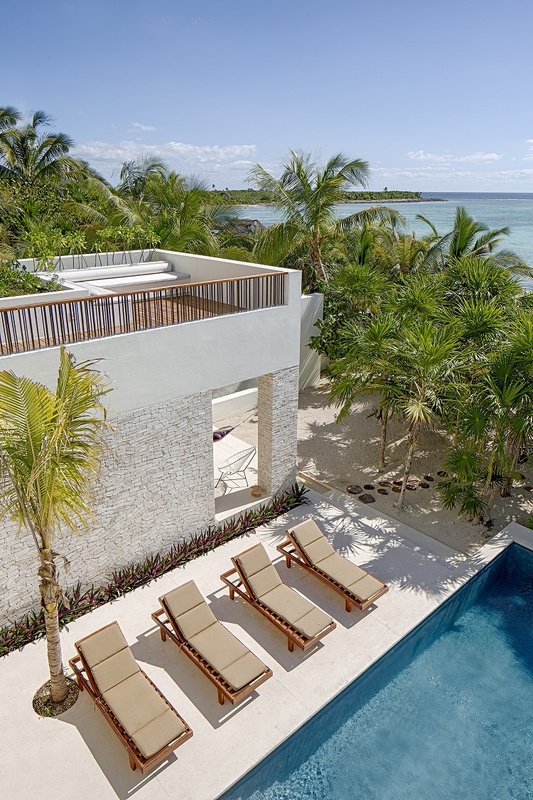 Many locally sourced materials were used in the construction of the home including the limestone walls which called for precise craftsmanship by local experts who had been building with limestone for generations. 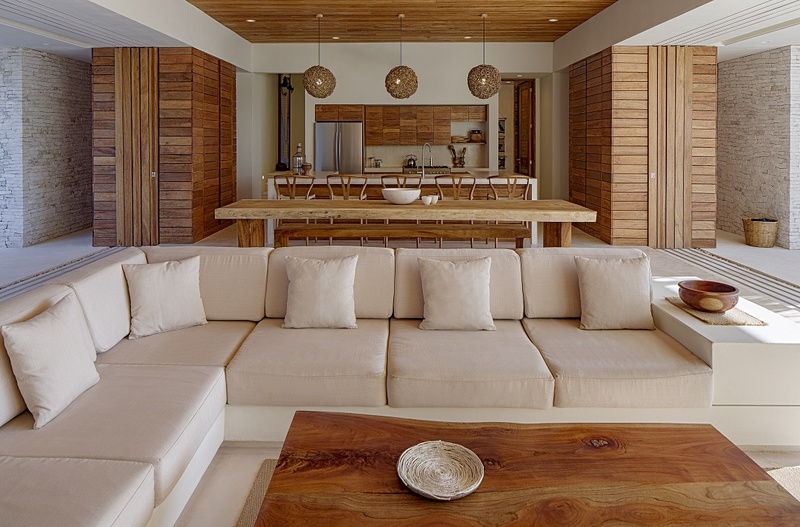 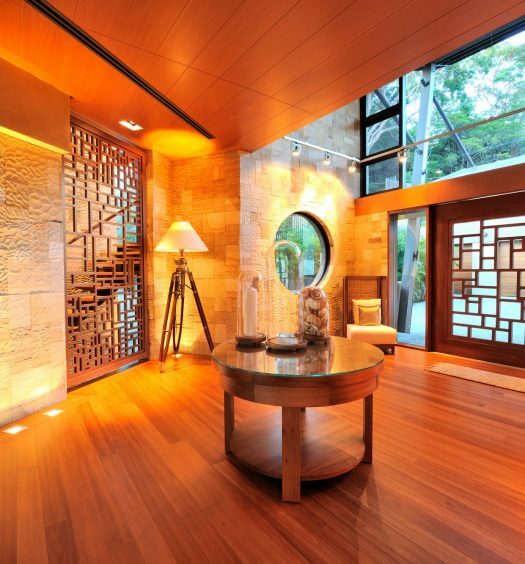 The warm hue of the area’s weather-resistant garapa hardwood enhances cabinetry, handrails, doors, windows and decking and much of the wood furniture found in the home has also been constructed from garapa. 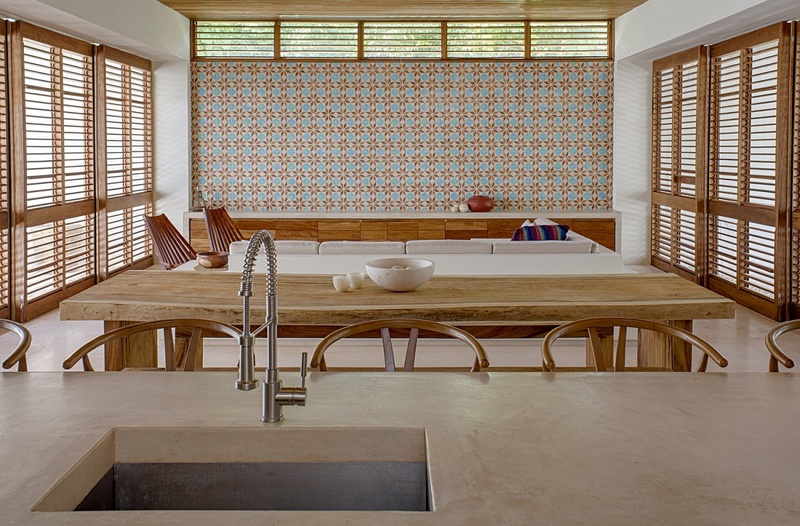 The blues of the sea and the browns of the wood are replicated in local “pasta tiles” placed on accent walls throughout the home. 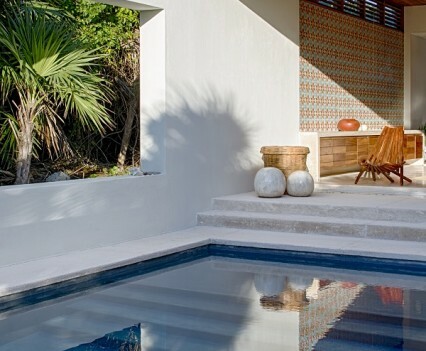 These mosaics were designed by the client and manufactured in Merida by a Spanish technique imported to Mexico hundreds of years ago. 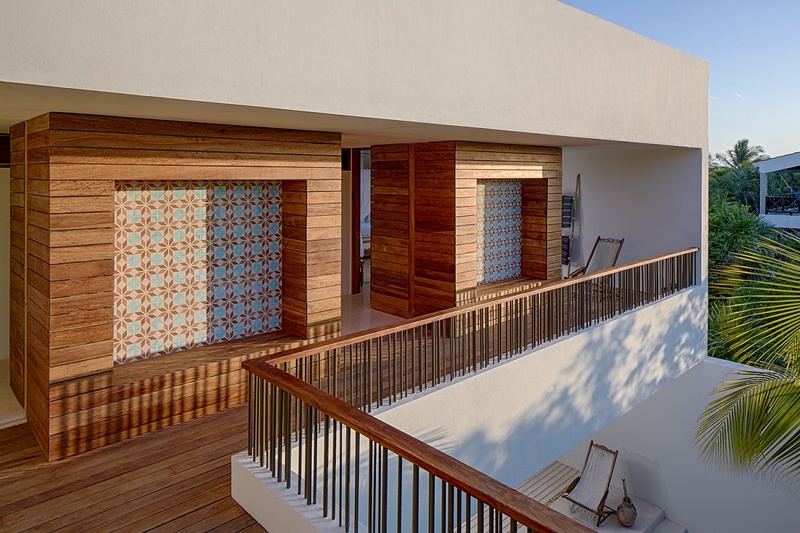 The process involves pouring thick sandy concrete into a mould, enhanced by a colourful design and are then pressed and polished to bring out the colour. 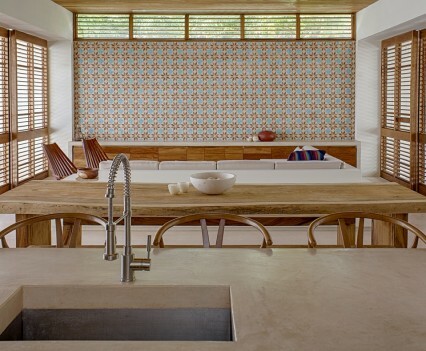 The term “pasta tiles” comes from the pasty consistency of the ingredients. 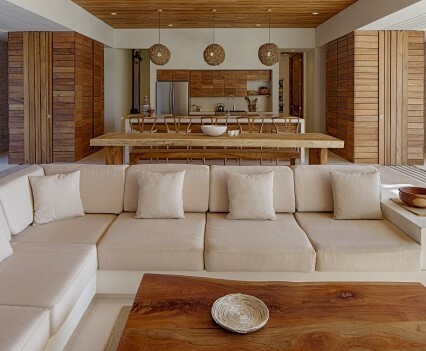 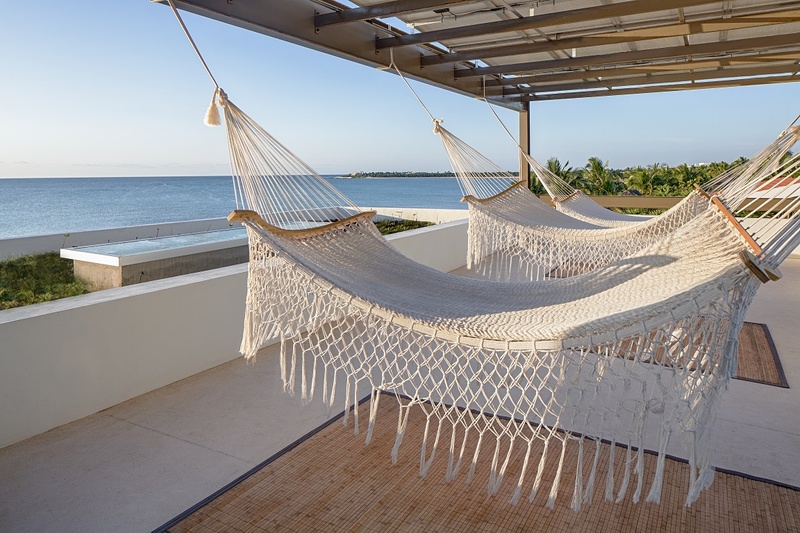 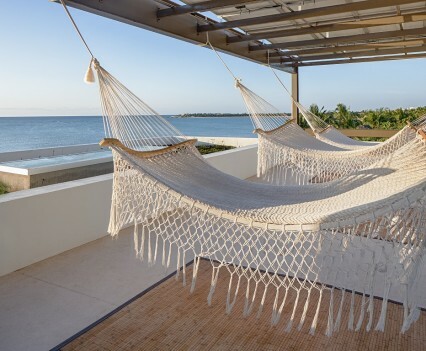 A perfect indoor/outdoor ambiance has been created with Interior living spaces and bedrooms opening wide to take in the Carribean Coastal views, and sea breezes that flow through the house for ventilation and cooling. 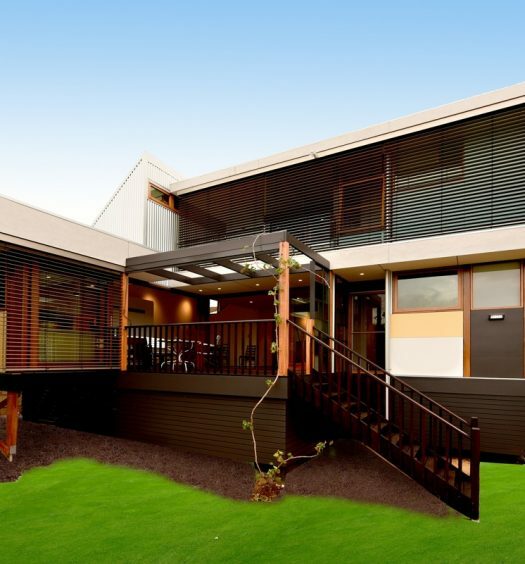 More than just aesthetically working in harmony with it’s environment the house is also powered by a photovoltaic canopy shading the expansive rooftop terrace, which is planted with native species to provide screening and insulation. 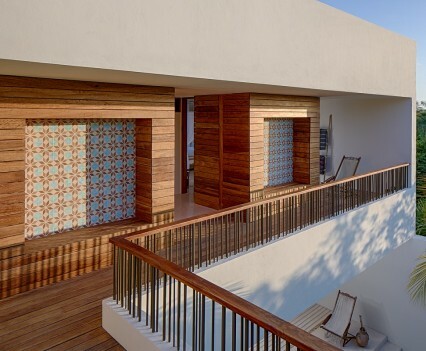 The terrace also collects rainwater that is filtered and stored for future use.